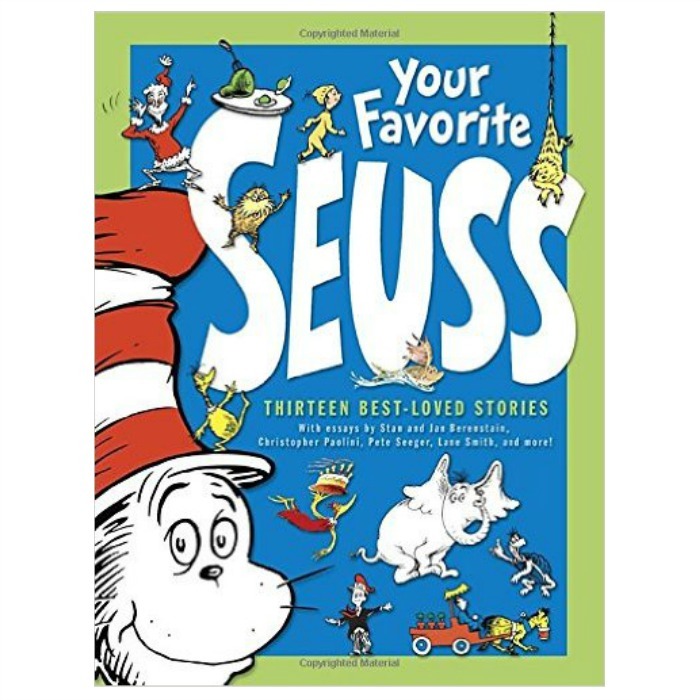 Your Favorite Seuss Hardcover Just $10.99! Down From $35! You are here: Home / Great Deals / Amazon Deals / Your Favorite Seuss Hardcover Just $10.99! Down From $35! Amazon has this Your Favorite Seuss Hardcover for just $10.99 (Reg. $35)! From his very first book to his very last book, here in one big volume are 13 classic Dr. Seuss stories, everyone’s favorites. All of the words and virtually all of the illustrations are included. Each story is prefaced by a short essay by someone whose life was changed by Dr. Seuss or who is simply an unabashed admirer. Also included are photographs of Dr. Seuss, memorabilia, and original sketches from his books. The stories included are: And to Think That I Saw It on Mulberry Street, Horton Hears a Who!, McElligot’s Pool, If I Ran the Zoo, Happy Birthday to You!, Dr. Seuss’s Sleep Book, Yertle the Turtle, The Cat in the Hat, How the Grinch Stole Christmas!, Green Eggs and Ham, The Lorax, TheSneetches, and Oh, the Places You’ll Go!